I got to spend over 3 weeks at home, and weather-wise, that was ENOUGH! After getting home, I decided that I wasn’t going to leave the house until the frigid weather was over, and that people were just going to have to come to me. That lasted not even a day. I wasn’t just being a weenie, either. To give some perspective, the governor of Minnesota cancelled school statewide on the 6th of January due to extreme cold: 25-35 below zero–not including windchill. That’s in Fahrenheit, in Celsius that would be -32 to -37. Temperature did vary a lot over my time at home, but it was still something like the 18th coldest December on record. Despite this cold, I did manage to snap a few pictures. I might embellish with pictures from a warmer Christmas a few years ago just for aesthetics, but I’ll indicate which is which! Bentleyville is a free Christmas light show in Duluth, MN that has tons of different scenes (everything from Rockin’ Reindeer to Dinosaurs) and features a huge lighted tree that lights differently in relation to the music! There’s also hot cocoa, cookies, marshmallows, and if you’re really good you can go talk to Santa! 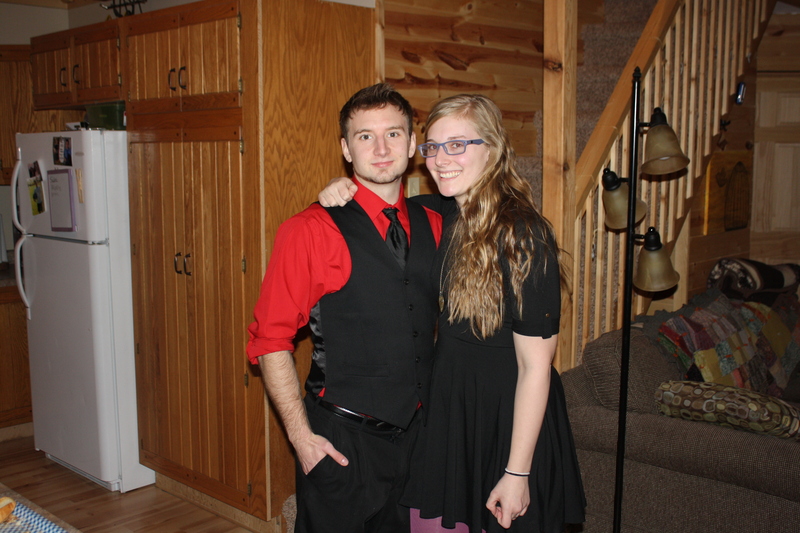 Tony (boyfriend) and I went with his sister and her fiance, and I was freezing! 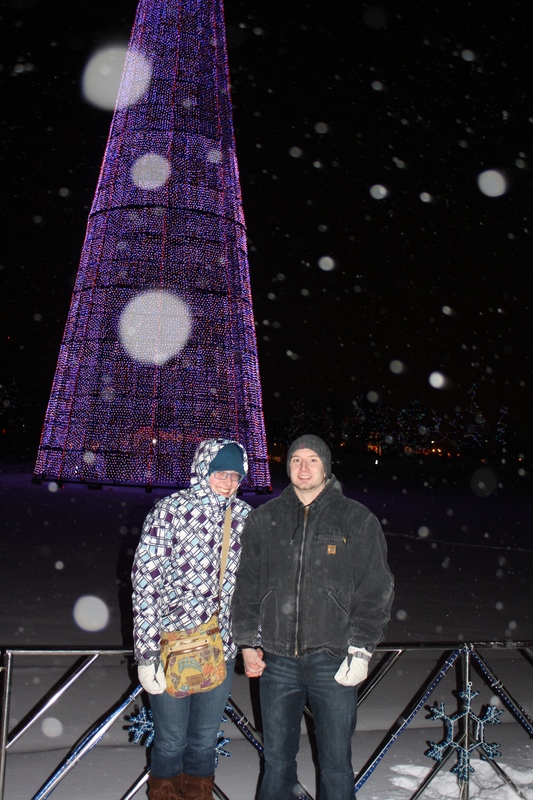 That’s me (all bundled up) with Tony in front of the big Christmas tree. 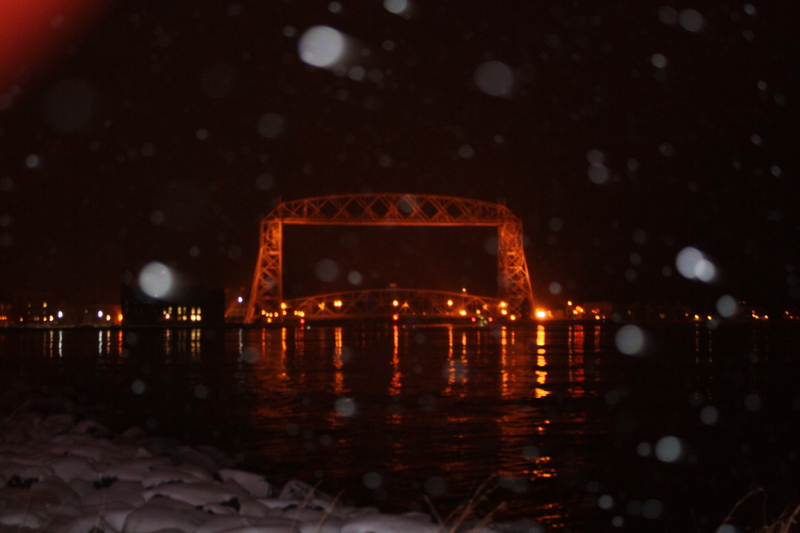 This is a kind of out of focus picture of Duluth’s famous Lift Bridge, the snow kept getting on my lens! It looked way prettier in person. And I think I annoyed everyone by spending time taking a billion pictures of the bridge while we were all freezing! 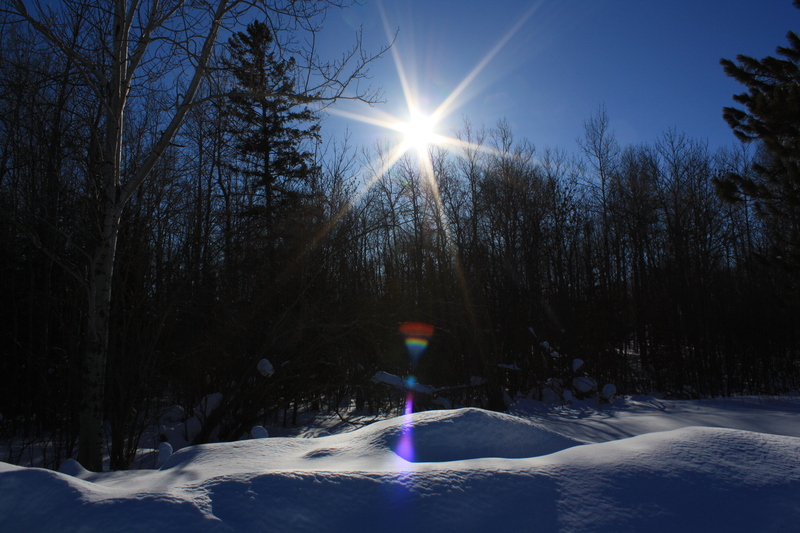 Now a couple of pictures from Christmas Past..
Mostly I just liked how the sun looked here, the rest of the picture is average. But you can see the snow! and obviously it was bearable to be outside that day! 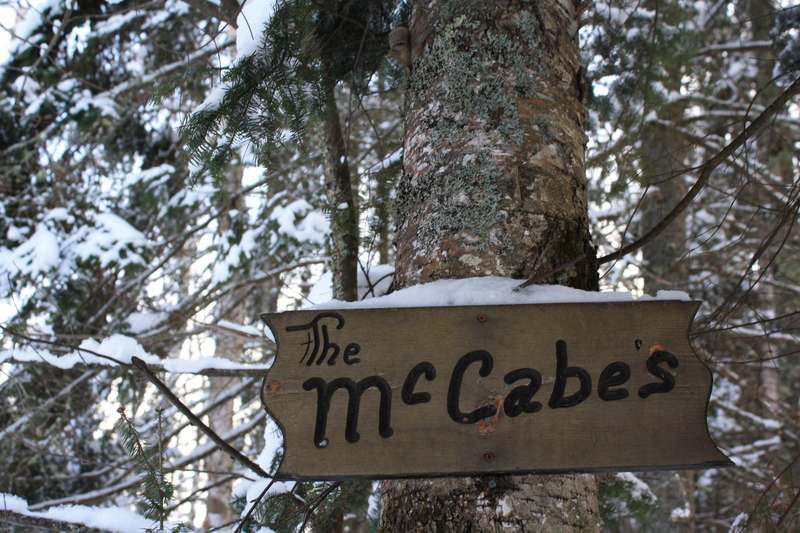 This is the sign in front of my Uncle’s cabin, taken a couple of years ago. The cut is weird because I was avoiding the fire number sign that was right below the lower right corner of the frame! This was the first winter I had a nice camera so I kind of went overboard.. At least it was warm enough to go outside or I’d have dozens of pictures of each of my family members, growing increasingly less tolerant in each photo! This is a small slice of what Christmas in Minnesota looks like. It’s one of those things, where to truly appreciate it, you’d have to be there! 🙂 Hope everyone else’s Christmas/winter holiday was as great as mine was! This entry was posted in Traveling and tagged Minnesota, travel. Bookmark the permalink.